An alternative version of the traditional San Gennaro street fair, "Via Del Popolo" will take place from September 13 to 23 on Mulberry Street between Houston and Prince. The project aims at bringing the concept of the street festival back to its roots, reimagining the block as a public piazza and art exhibition. A conversation with Monsignor Donald Sakano, Pastor of the Basilica of Saint Patrick’s Old Cathedral on Mulberry Street. The Feast of San Gennaro is undoubtedly one of the most important celebrations for the Italian-American community of New York City. 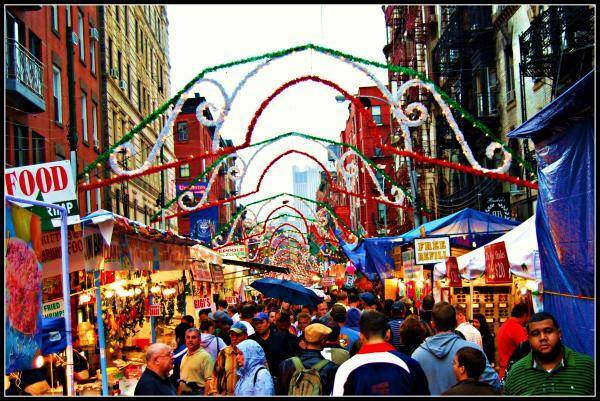 Each September, the Feast of San Gennaro draws hundreds of thousands of visitors to the Mulberry Street area in the eleven days it takes place. Initiated in 1926 by the Neapolitan immigrant families residing in the Little Italy neighborhood, the Feast was an occasion for the Neapolitan immigrants to homage the saint patron of their city in the day of his martyrdom in 305 A.D., on September 19. In Naples, the miracle of the melting blood of the saint is celebrated three times a year, the other dates being December 16 and one date among the first ten days of May. 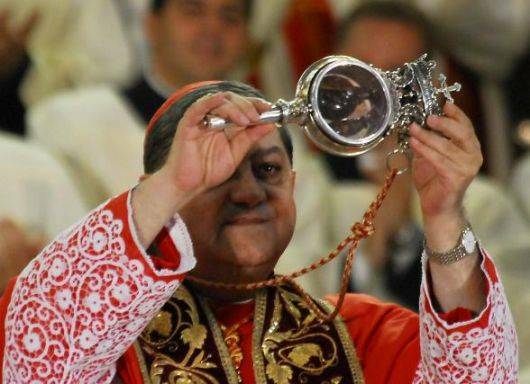 The solidified blood of Saint Gennaro is preserved in two cruets in the Cathedral of Naples, and, as worshippers believe, if on those set dates the blood melts, that is a good omen for the city. The Neapolitan celebration of the San Gennaro Feast is more of a spiritual moment than an actual festival, whereas the Mulberry street version of the San Gennaro Feast has evolved over the decades into an extremely popular street fair characterized by the presence of commercial vendors and Italian-American food kiosks. In the multifaceted Italian-American community, some believe that the celebrations of the Feast should be more in line with the Neapolitan solemnities in order to better represent the Italian-American heritage and legacy in the historic district of Chinatown-Little Italy, as well as to respect the original intent behind the initiation of the festival -- the one of bringing together the diverse community of the area, an immigrant reality that more than other areas in the city truly expresses the concept of multiethnic melting-pot. In this context, since last year the San Gennaro Feast has featured an interesting duplicity. Promoted by the Basilica of Saint Patrick’s Old Cathedral, an alternative version of the festivities was carried out on Mulberry street between Houston and Prince with a rich program of cultural events and performances featuring live concerts, theatrical readings, architectural installations and educational exhibitions. This year, the experiment of a different San Gennaro Feast is continuing, growing stronger and more relevant for the neighborhood. “Via Del Popolo,” translated “The Street of the People,” is the name and the theme for the festivity, which will take place from September 13th to the 23rd. Via del Popolo aims at bringing the concept of the street festival back to its roots, closing the block to the vehicular traffic and reimagining it as a public piazza and art exhibition. “The Feast of San Gennaro should be a true expression of community, old and new,” Monsignor Donald Sakano, Japanese-Italian-American Pastor of the Basilica of Saint Patrick’s Old Cathedral tells i-Italy, and explains how this criteria informs all of the projects that he and other representatives from important cultural institutions in the neighborhood are working on for next September. 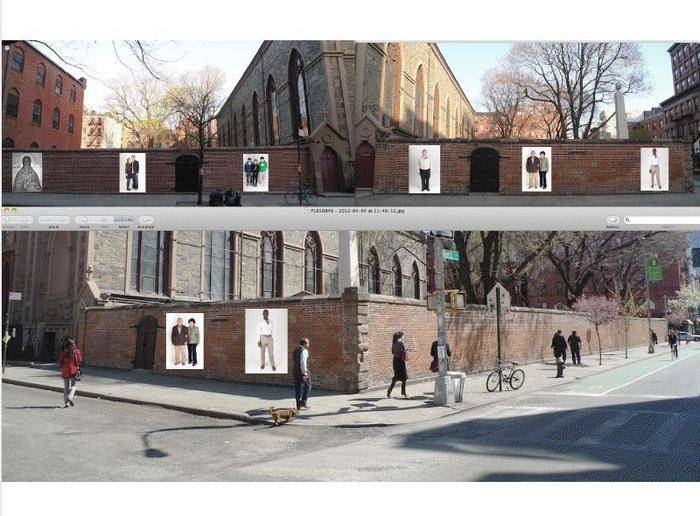 To literally represent the community, an exhibition conceived by former New York Times’ picture editor Mark Bussell and organized in partnership with The New Museum and NYU’s Tisch School of the Arts will bring 30 life-size photographic portraits of Saint Patrick’s parishioners on water-proof fabric prints that will be wrapped around the church’s historic brick wall. 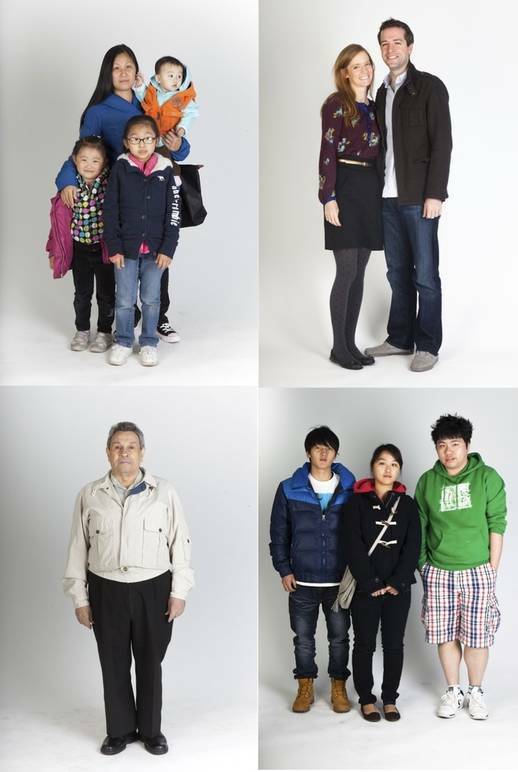 The portraits by Alex Arbuckle will represent families, couples and individuals in the neighborhood, putting real faces from the area on display: a visual representation of the neighborhood’s inhabitants that potentiates the emotional ties with it and the sense of community within it. The artwork will be visible at night thanks to a lighting installation by designer Maha Mamish, which will enhance the visibility and create an evocative atmosphere with monumental LED streetlamps arching over the Cathedral’s wall. The streetlamps’ design will be inspired by the lancet arches that are typical of the Gothic architecture and a recurring element in the Basilica’s façade and interior. 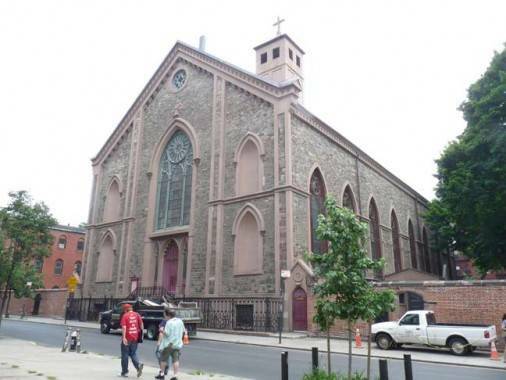 In order for the street to be fully experienced by the community, Via del Popolo will also be furnished: “we want to recreate a piazza on Mulberry Street,” Monsignor Sakano explains. An outdoor lounge with umbrellas and furnishings placed in the streets will convert the street into a social hub, in a neighborhood where community spaces are lacking and there is a need to recreate them. “Our wish is for this to become permanent, bringing Mulberry Street back to a neighborly dimension. We want to transform it into a ‘streetscape,’ a word that urban planners use to describe a pedestrian friendly environment,” Sakano adds. 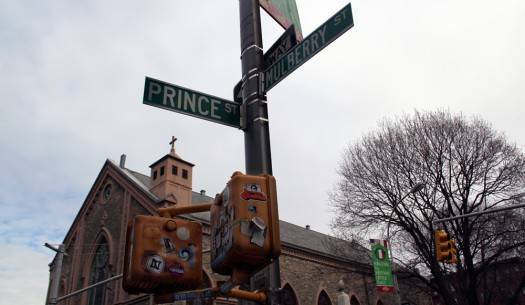 Working with urban planners and with the New York City Department of Transportation, the Monsignor has already obtained that parking on Mulberry Street between Houston and Prince will be forbidden. “San Gennaro is a great opportunity to showcase this project for the neighborhood, all the while making the festival itself more neighborhood based. This year we hope to do justice to the patron saint of Naples by having a festival that is worthy of his name,” Sakano concludes. For more information on Via Del Popolo, you can follow the Kickstarter page for the initiative, which reached its crowdfunding goal of $10,000 just yesterday.